My review of Park Colonial. 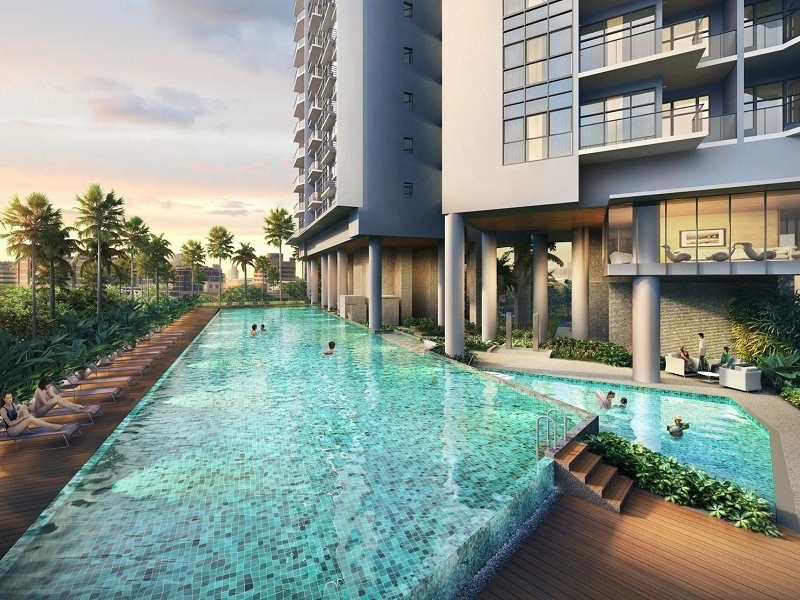 Park Colonial is a new condo at Woodleigh. Market sentiment has been extremely positive especially in the primary home market. I will be trying to give my personal perspective on some of the new project launches. 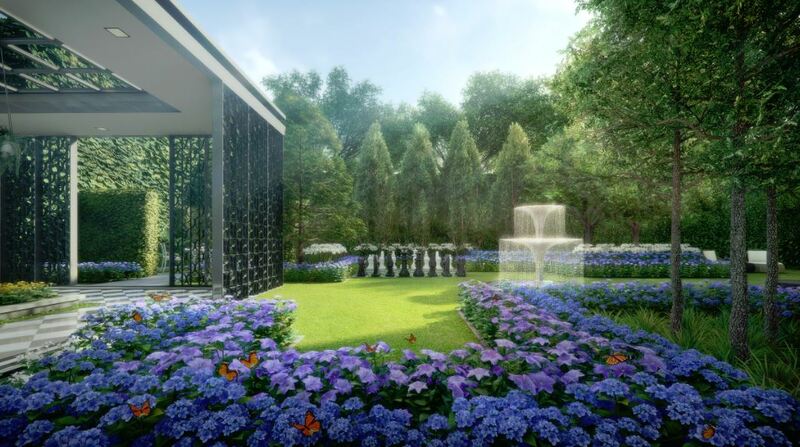 There is a new project right next to Woodleigh MRT Station and it is slated to be launched later this month or in early July. 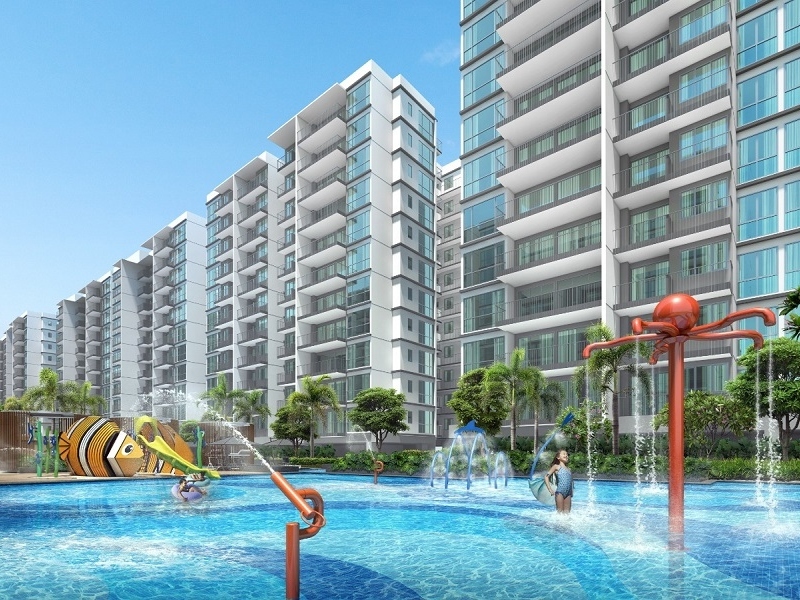 Park Colonial is a 99-year leasehold project located along Woodleigh Lane. To those who are familiar with the area, it is going to be located on the site of the old Youngberg Hospital. Woodleigh Lane is a road that is perpendicular to Upper Serangoon Road. Back in July 2017, this site was launched under the confirmed list and drew a top bid of $700.7 million from CEL Unique Development. CEL Unique Development is 60 per cent owned by Chip Eng Seng and 40 per cent owned by Unique Real Estate, which is a joint venture of Heeton Holdings and KSH Holdings. The 19,547 square meter site has a maximum gross floor area of 58,641 square meters. This development will have 805 units and is expected to be completed in 2022. This plot of land was released when the property market was recovering and this particular plot of land saw 15 bids with most of the bids exceeding analysts expectations. In fact, the 2nd highest bid was a mere 5.7 million less than CEL Unique Development’s bid. Where is this development located? 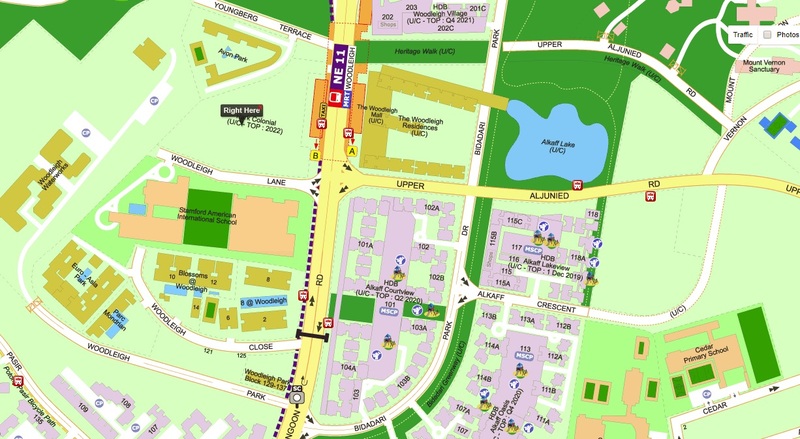 It is located right next to Woodleigh MRT Station. If you were coming out of the train station, you should exit via exit B to get to Park Colonial. It is also located just opposite the Stamford American International School. 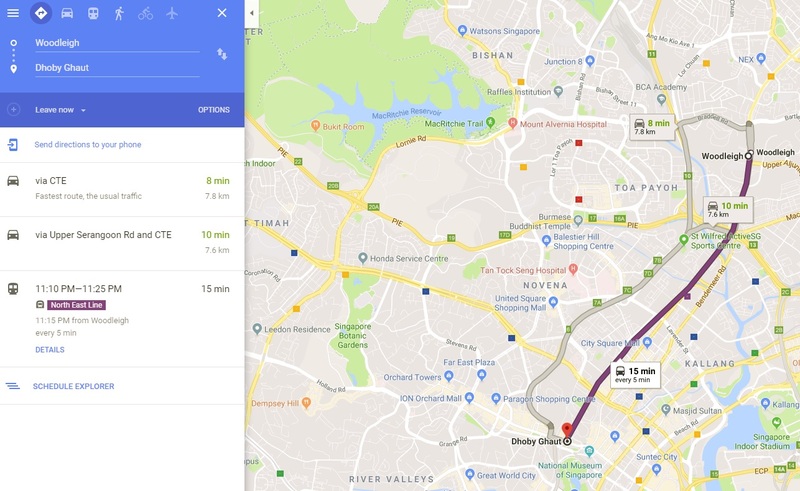 Woodleigh MRT Station is located along the North-East Line (NEL) and according to Google Maps, it would take 15 minutes to get to Dhoby Ghaut MRT Station which is along the tail end of the Orchard Road shopping belt. From Dhoby Ghaut MRT Station, you could easily transfer to the North-South Line and get to Raffles Place MRT Station. Woodleigh MRT Station is also one stop away from Serangoon MRT Station along the NEL. Serangoon MRT Station is an interchange and you could get onto the Circle Line at Serangoon MRT Station. Park Colonial is also very accessible to both the Central Expressway (CTE) or the Pan Island Expressway (PIE). Heading down Bartley Road would link drivers to the CTE and heading towards Potong Pasir would get them to the PIE. 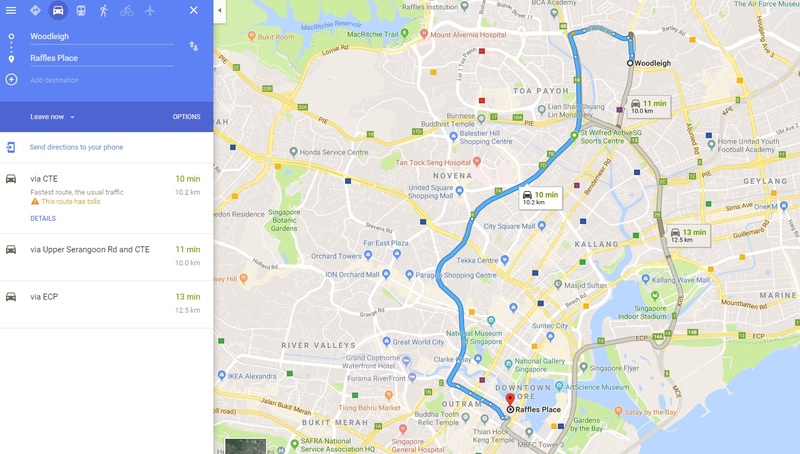 According to Google Maps, in clear traffic, it would take you 10 minutes to drive from Park Colonial to Raffles Place MRT Station. It has to be said that in peak hour traffic it should take longer than this. I would say that the location has to be the main selling point. Being right next to an MRT station is a huge advantage whether you are purchasing for own stay or to have it rented out. On the other side of Upper Serangoon Road will be The Woodleigh Mall and Woodleigh Residences. The mixed development will be jointly developed by Singapore Press Holdings (SPH) and Kajima Development. It will also have a basement bus interchange. Park Colonial will have easy access to this mixed development as residents of Park Colonial should be able to access The Woodleigh Mall via the MRT underpass. If buyers were buying this property to have it rented out, the Stamford American International School is right opposite Park Colonial. There should be a pool of tenants that will come from this school. Woodleigh is also located along the city fringe. 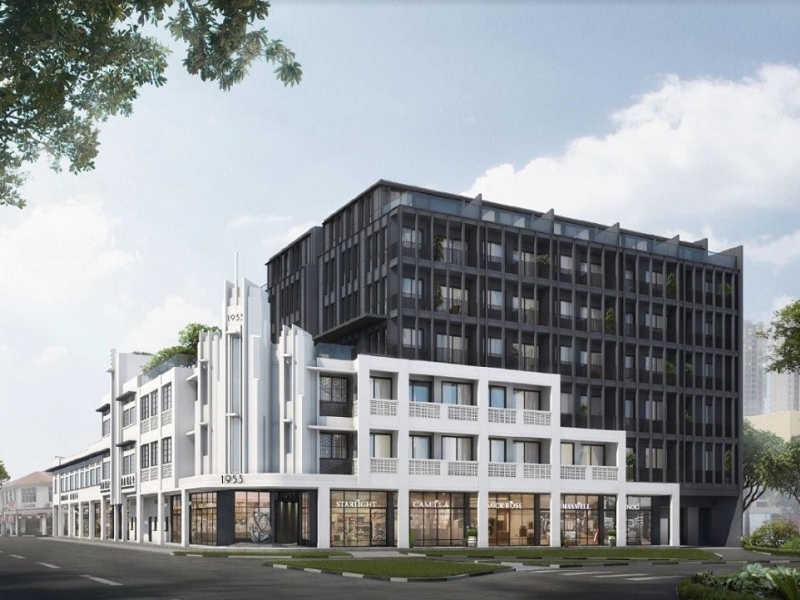 Tenants who work in the CBD should find this location attractive especially once The Woodleigh Mall is completed. I find the location very prime. Park Colonial should be in direct competition from The Woodleigh Residences once that development is up. 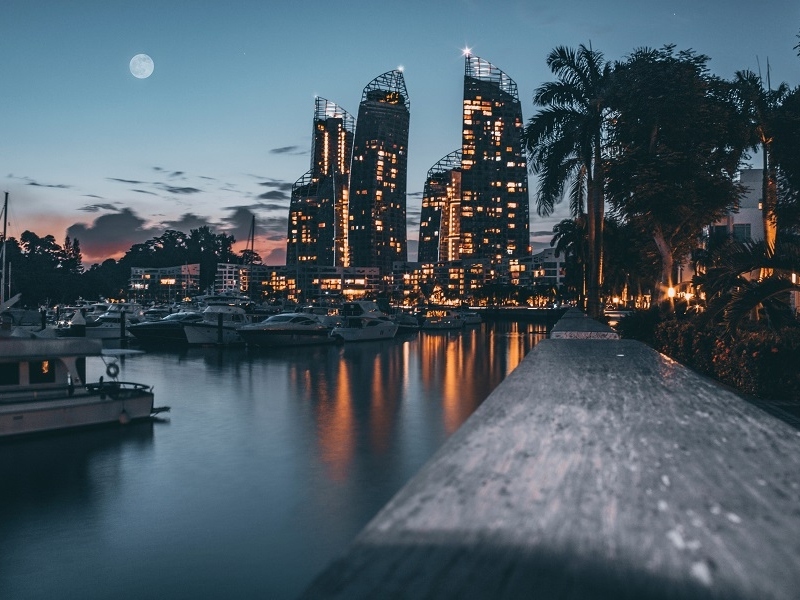 In March 2018, The Straits Times ran an article claiming that units at The Woodleigh Residences are likely to be priced at above $2,000 per square feet (psf) when launched. This sort of pricing would be testing new grounds as $2,000 psf is a psychological barrier when it comes units in this area. In comparison, when projects in places like Serangoon North are being launched at around $1,600 psf, I do feel that developments in Woodleigh would be a much better purchase even if it were priced 20-30% higher. That being said, I would find it expensive if prices do cross $2,000 psf. If you were to travel along the NEL stations close to Woodleigh MRT Station, you would realise that from Kovan all the way to Little India, only Kovan, Woodleigh and Potong Pasir MRT Stations have condominiums located right next to the MRT Stations. I would say that Park Colonial should be competing with The Woodleigh Residences, The Poiz Residences and Sennett Residence for tenants who want something along the NEL, in the city fringe, close to a good sized shopping mall. Park Colonial and The Woodleigh Residences will have an added advantage of having a bus interchange as well. Woodleigh also has a slight advantage over Potong Pasir as it is going to be a newly built town. All the HDB flats in the vicinity will be new. The roads and amenities will also be new and condominiums around Woodleigh will not have to compete with the HDB flats in the area for rental in the short to medium term as the flat owners can only rent out their HDB flats once they fulfilled their 5-year minimum occupation period. 2 bedroom asking rents for units at [email protected] on PropertyGuru are about $2,800. On the flip side, it would be prudent to note that The Woodleigh Residences will also add another 680 residential units to the area. Price wise, I do think that the overall property market is a little overheated. However, if buyers really had to make a selection, I would urge them to purchase something located close to an MRT station. I have always maintained that there is no accurate data to tell potential buyers how long a unit is marketed before it gets tenanted. Tenants do look for easy accessibility when looking for a place to rent and Park Colonial does fit the bill. If you want to get tenants to rent your property, you must understand their basis for renting. Tenants are mobile and have choice. Convenience is usually one of the main criteria for most of them when selecting a property. Recent transactions at [email protected] have seen units mostly transacting at more than $1,300 psf. There was a one bedroom that was sold for $1,657 psf in February this year. Considering that [email protected] is almost 10 years old, if a one bedroom at brand new developments like Park Colonial and The Woodleigh Residences are about 20-25% more in terms of psf, that does seem rather reasonable a premium to pay. Park Colonial Flower Garden. Artist’s Impression. I would expect prices to be in the region of $2,000 per square foot. Perhaps during the launch period, buyers could get units for $1,900 psf or maybe sub-$1,900? I am giving my pricing rating in comparison to other developments that were launched in the recent months. 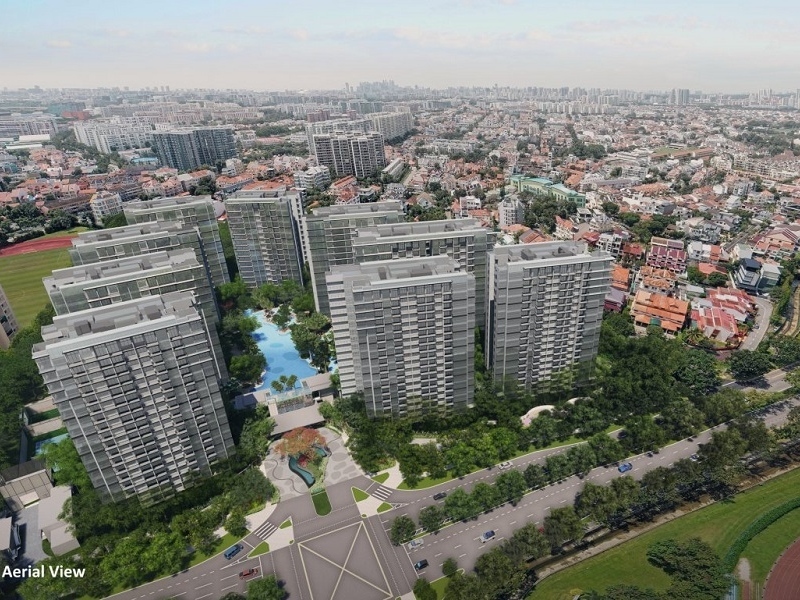 Park Place Residences already breached the $2,000 psf barrier and I would expect Park Colonial and The Woodleigh Residences to be priced around $2,000 psf as well. [Update] Prices have been released and they are going for $16xx per square foot onwards. I have changed my rating from 3/5 to 3.5/5. 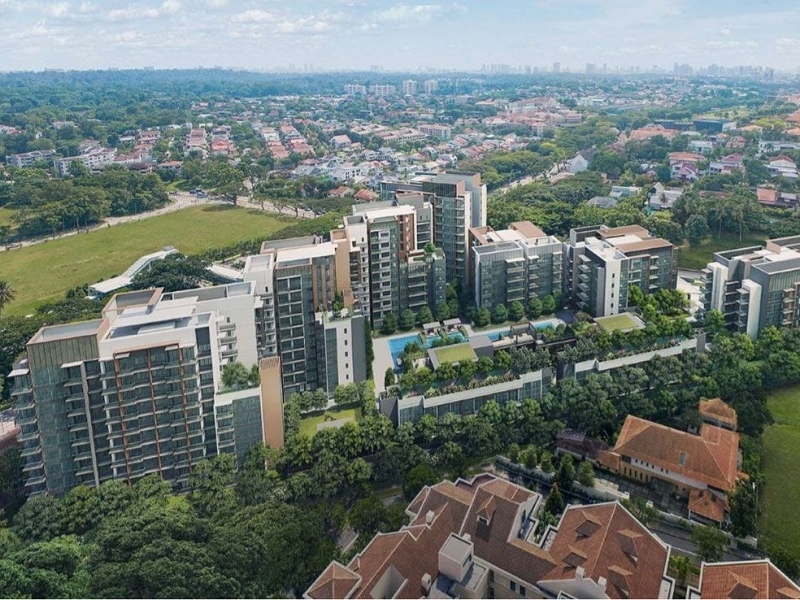 I do think that the overall market is still a tad overpriced but Park Colonial seems to be priced in accordance with the general market and with projects in Serangoon North commanding almost the same per square foot prices, I would select Park Colonial instead. I really do think that this property is very well located. If you want a condominium with easy access to the MRT Station, this is it. Moreover, Woodleigh is going to be a brand new town. This is the best selling point for this development. Whether to rent out or if you are looking to purchase a unit for your own stay, this is something to consider. The developer is experienced. 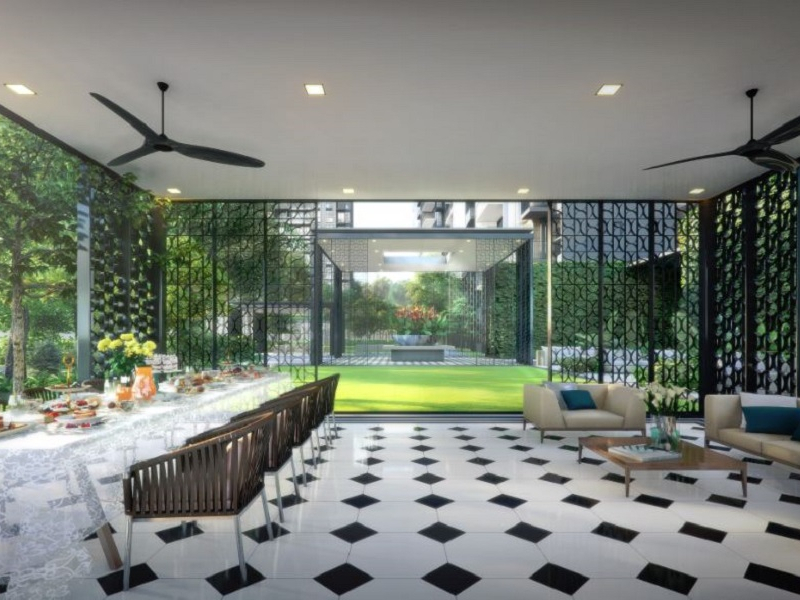 Their portfolio includes developments like High Park Residences, Grange infinite, Lincoln Suites, [email protected], Fulcrum, Junction Nine and Nine Residences. CEL Development, Heeton Holdings and KSH Holdings are experienced in development and construction. The consortium is a coming together of three experienced parties. Disclaimer: I am a licensed real estate salesperson at the point of writing this review. My real estate agency is the marketing agency for Park Colonial and will earn a commission is I bring a buyer to the project and he or she makes a purchase. In fact, I can bring buyers to just about any project and earn a commission. My reason for writing this review is to share my personal view about the developments and hopefully share some insight to help buyers make a more informed buying decision. For more information about Park Colonial, you can visit this Park Colonial Website. P.S. You can reference the Park Colonial floor plans here. P.P.S. I have just started a YouTube Channel and I will be uploading weekly videos explaining the various investment terms and jargon which may come in handy for some. Do consider subscribing to my YouTube Channel for useful investment content videos. You can access my YouTube Channel here.